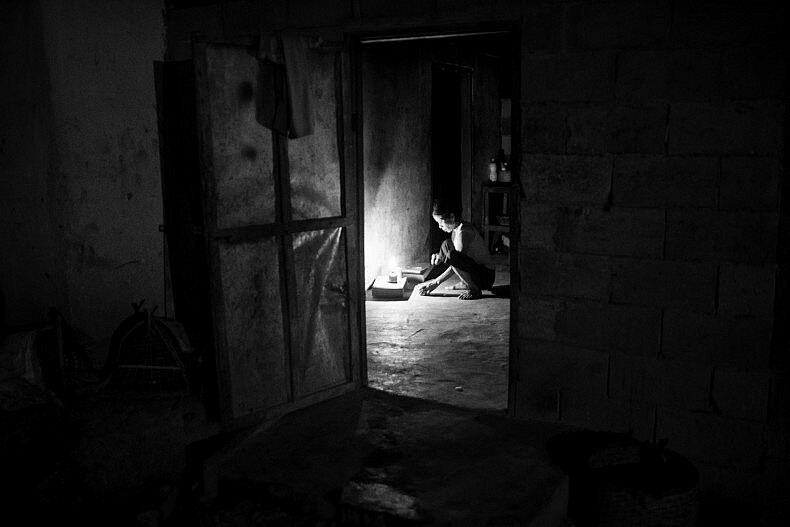 A light shines from inside a house in the village of Khoc Kham. After a long boat ride from Luang Prabang, we reach the village of Khoc Kham to learn about innovative electrical solutions and the impacts of an increasingly globalized world on remote communities. 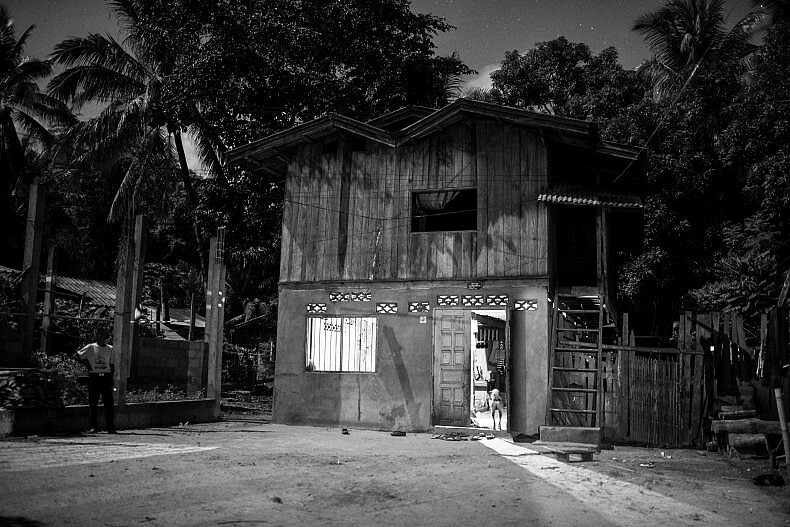 A family home in the the village of Khoc Khom. Photo by Luc Forsyth. 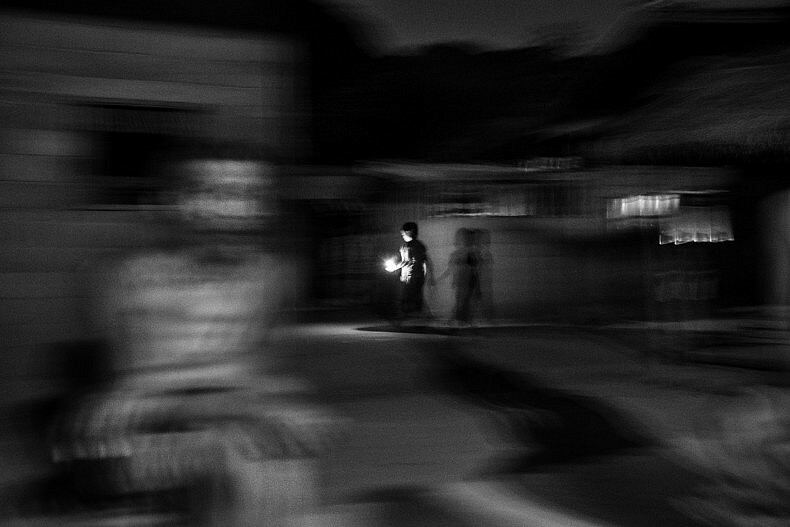 When the light turned on in Si Tach’s living room, the whole family paused what they were doing to watch the process. As he screwed in the bulb and the blueish light flickered and then lit the space, there was a general feeling of relief mixed with little bit of wonder at the magic of technology. Over the four days that we spent in Khoc Kham village, each time this process was repeated the mood was the same. 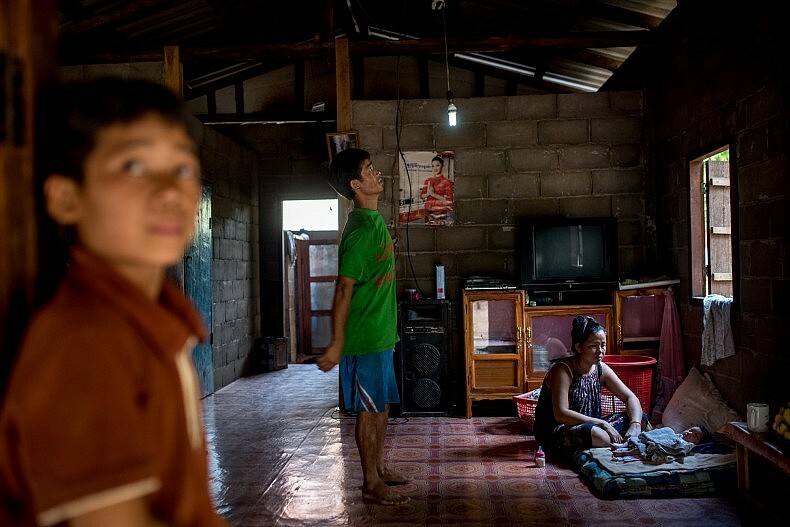 The village is not connected to the main electrical grid and many residents operate their own turbines to power lights and sometimes small appliances. Photo by Gareth Bright. 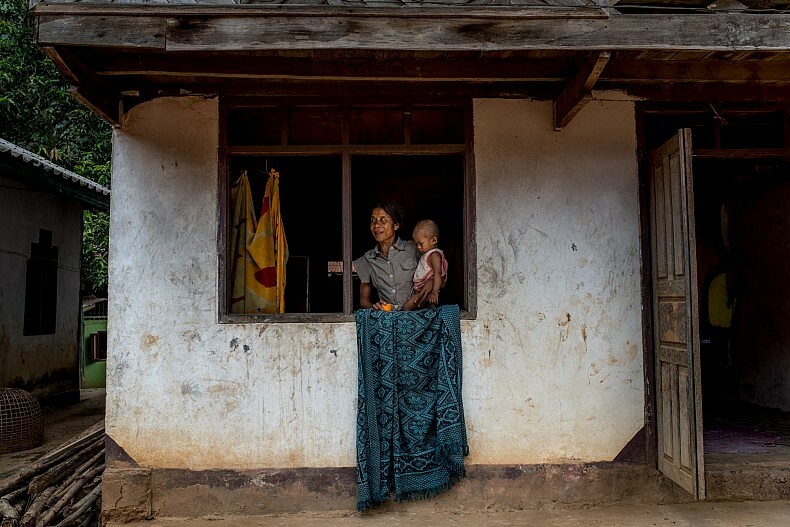 A woman and her baby in the village of Khoc Kham. Photo by Luc Forsyth. With our time in Laos drawing to a close, we had traveled 2 hours up the Mekong by boat to reach Khoc Kham, hoping to gain some insight into the relationship between Laos’ remote communities and electricity. 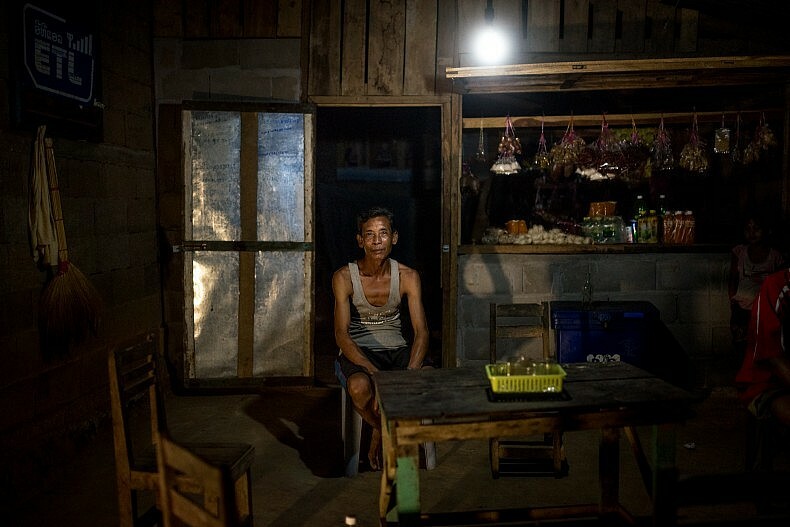 As the country works to transform itself into the battery of Southeast Asia, exporting power generated from the Mekong and its tributaries to its wealthier neighbors, we wanted to know what that meant for people like Si Tach who lived on the fringes of modernity. 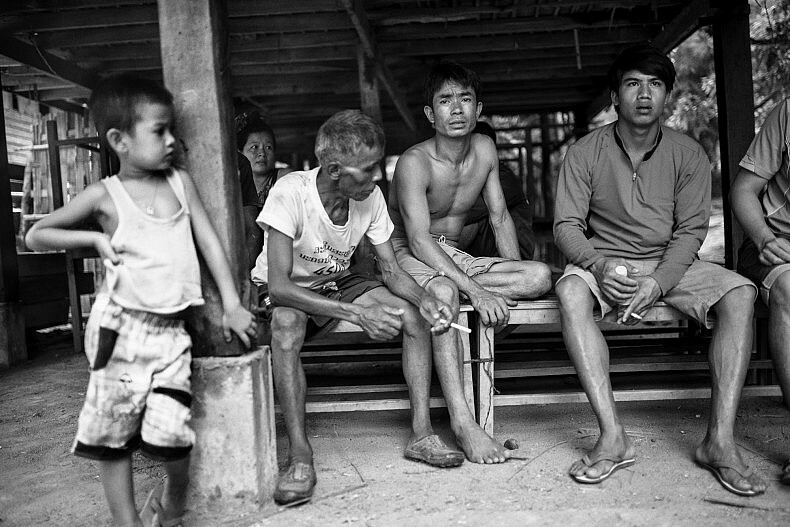 Group of men living in the village of Khoc Kham. Photo by Gareth Bright. These were people who hunted with slingshots and homemade muskets and hadn’t experienced electric light bulbs until well into the 21st century. Were they benefiting from the damming of the national waterways, either financially or in terms of infrastructure? How was the rush to develop natural resources affecting their traditional ways of life? What did the future hold for such communities? 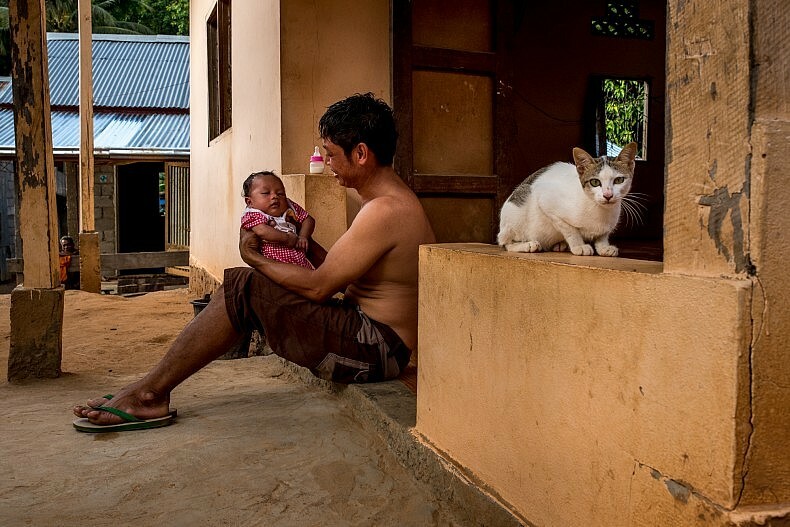 A man with his newborn baby in the village of Khoc Kham. Photo by Luc Forsyth. “Before we used to use oil lamps, which were hard to see by. Now some of us can even watch TV,” Si Tach said. Photo by Gareth Bright. 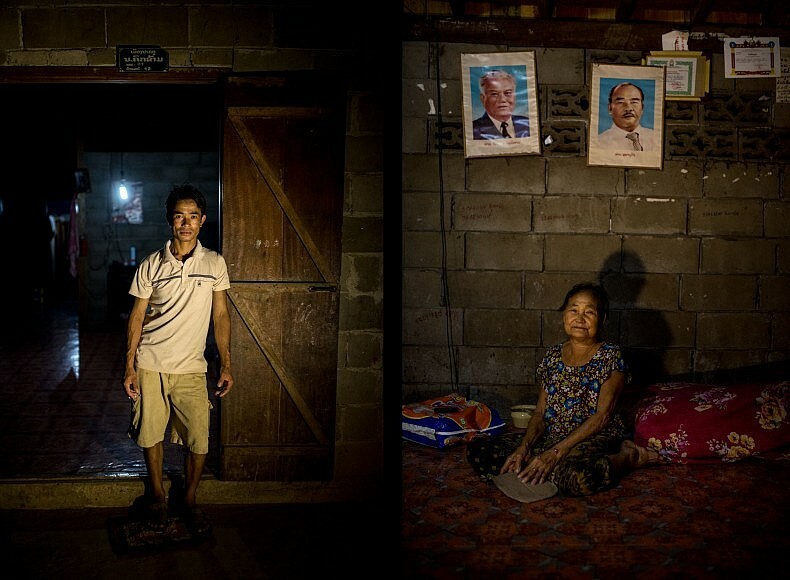 Left: Si Tach Ponmachak, 35, stands in front of his house, lit by a single LED bulb. Right: Sao Pou, 70, sits under the portraits of two of Laos’ most revered former politicians. Removing the bulb from its socket and wrapping it in a protective piece of cloth, Si Tach gestured for us to follow him. Only a few minutes had passed since we’d arrived in the village and sat down in his house, but already a sizeable group of villagers had gathered. With Si Tach in the lead and us trailing behind, the entire crowd set off along a jungle trail towards the sound of running water somewhere in the valley below. Twenty minutes later we were standing on the banks of a small but swiftly flowing creek. 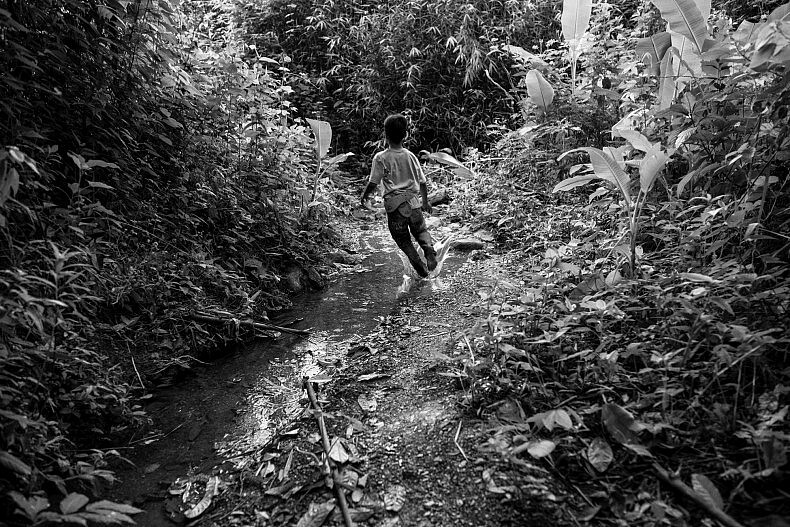 A boy runs by a creek outside the village of Khoc Kham. Photo by Gareth Bright. 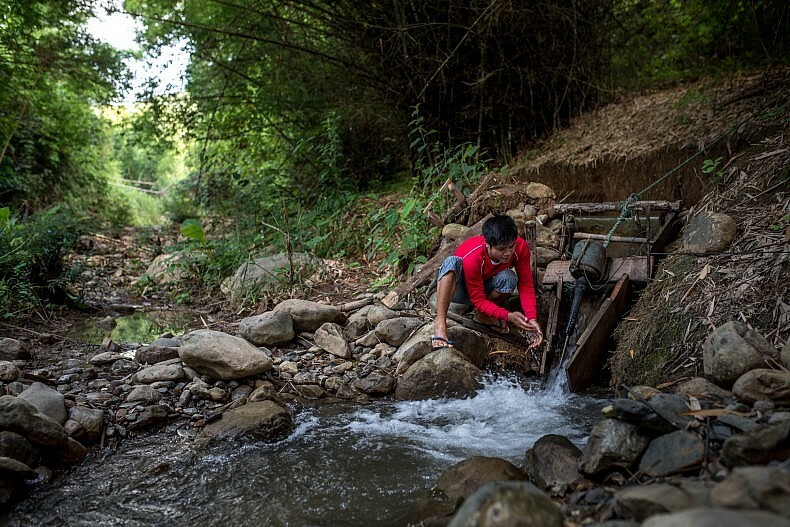 A man checks on his families water turbine in the village of Khoc Kham. Photo by Luc Forsyth. 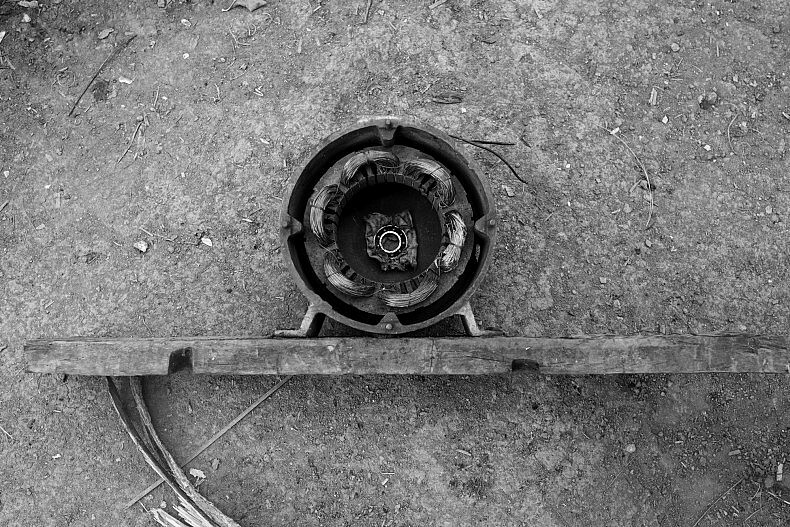 The village of Khoc Kham’s power comes down to a single propeller. Photo by Gareth Bright. 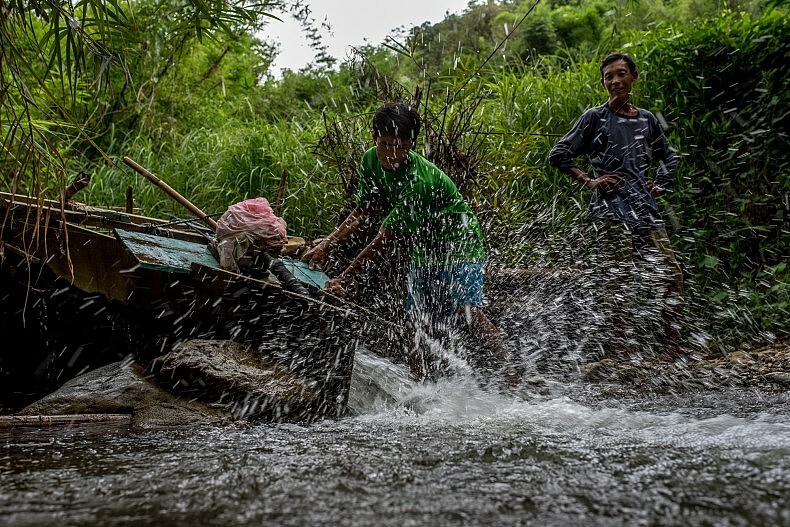 A man turns on his water turbine as evening approaches in the village of Khoc Kham. Photo by Luc Forsyth. 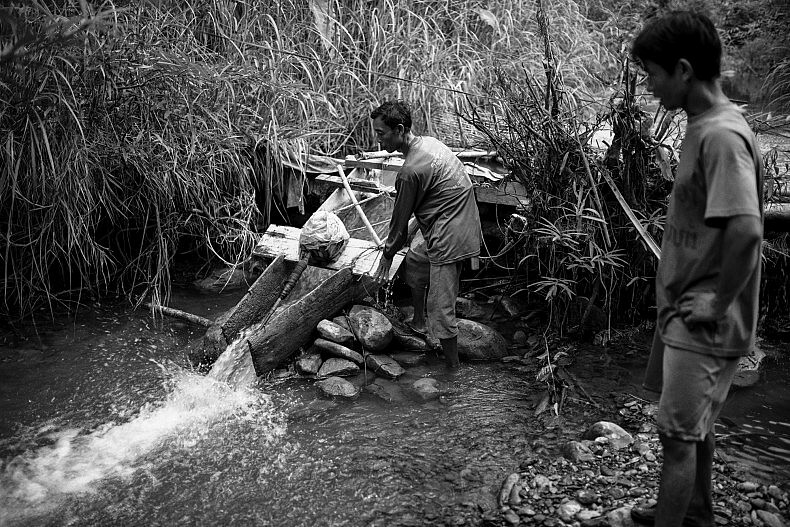 Men gather around the village’s source of electricity. Photo by Gareth Bright. Xieng Pai, 54, is a shopkeeper in the village of Khoc Kham. He powers the light in his shop using a portable water turbine. Photo by Luc Forsyth. 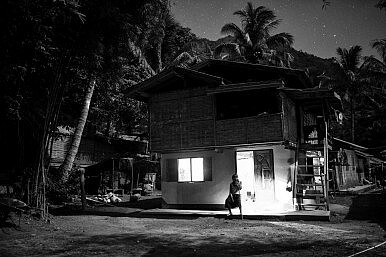 A light shines from inside a house in the village of Khoc Kham. Photo by Gareth Bright. Beyond making for a strange flavor combination, the meal reminded us that Khoc Kham did not have much interaction with the outside world. We were just the third group of non-Laotian outsiders to visit the village in living memory after a school-building missionary group and a team of Vietnamese engineers who had constructed their own concrete house in the village to use as a base of operations while they scouted the area for suitable dam-building locations. But we also knew that the outside world was coming to them whether they wanted it to or not. Once Mountain Dew appeared, the hydropower survey teams could not be far behind. 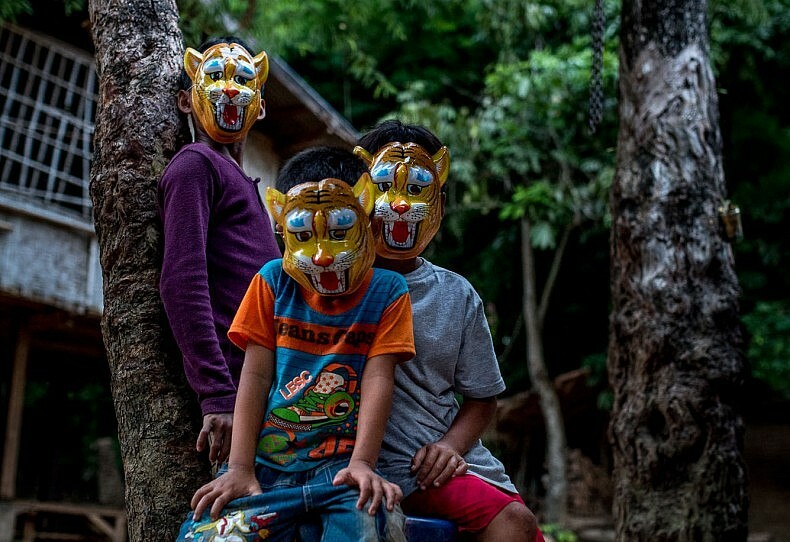 Children wear plastic masks in the village of Khoc Kham. With the introduction of affordable outboard motors, the villagers, who have no road access to the outside world, can trade with nearby villages. Photo by Luc Forsyth. 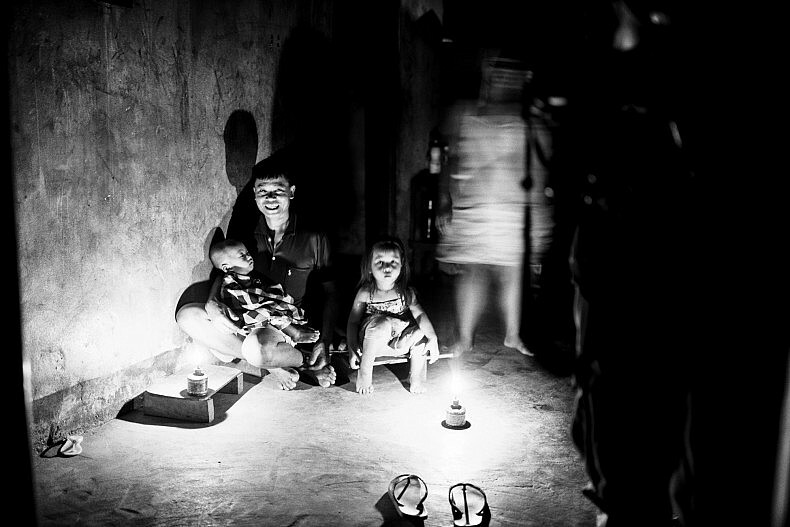 Villagers in Khoc Kham gather around a light powered by their own electricity generation system. Photo by Gareth Bright. The Nam Khan river, a major tributary of the Mekong, is being dammed in at least 3 places, displacing thousands.